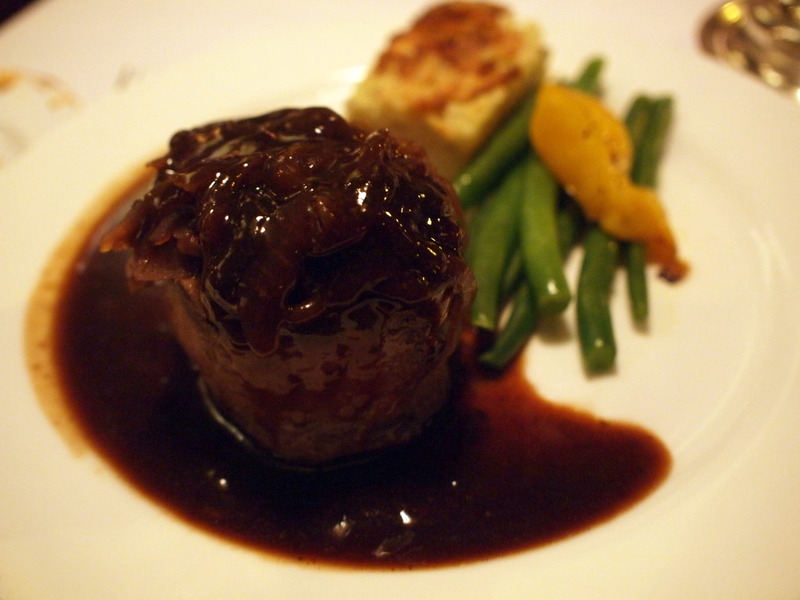 I was lucky enough to be taken out for dinner on the Colonial Tramcar Restaurant for my birthday by an amazing friend. The restaurant is contained within one of the first trams to operate in Victoria, and surprisingly enough it still runs, albeit slowly to ensure no food or wine is spilled during the meal! The 5-course late dinner meal is paired with a range of alcohol, starting with champagne, with red wine, white wine, spirits and liquors available. Surprisingly, even though the space is limited and there are a number of tables, you never feel crowded in. Each table seems to have its own bubble, where you can happily hold your conversations without fear of disturbing other diners. The service was extremely friendly and efficient, and it's only out of personal preference that I found some of the music annoying. Moving on to the food though, here's a recap of the impressive meal. 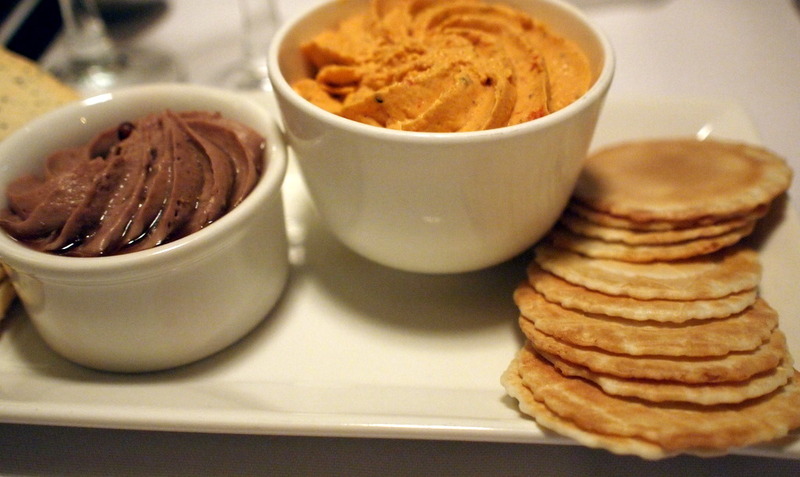 To start, an appetiser consisting of Chicken Liver and Cognac Pâté crowned with pink peppercorns, and Roasted Red Capsicum Dip served with crackers. The dips were the perfect appetisers to sooth our growling bellies. 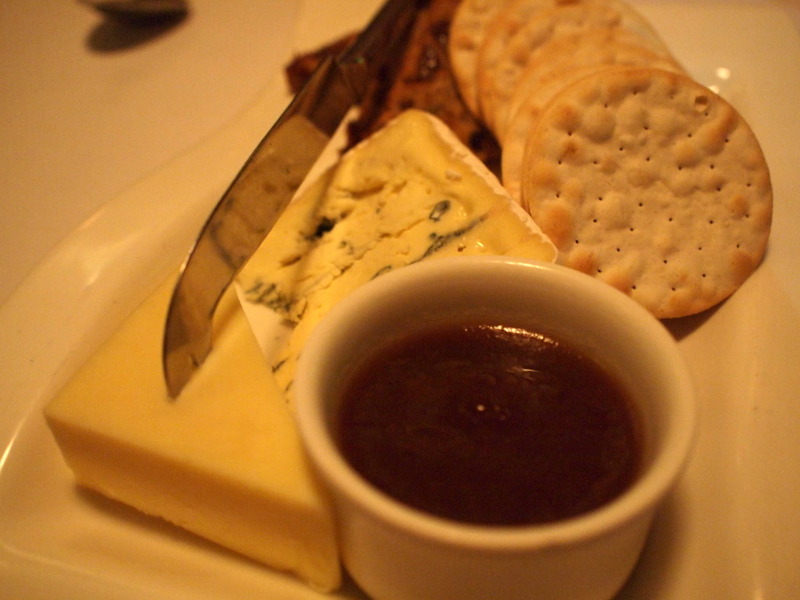 I especially like the Pâté with its delicate, creamy flavour and smooth texture. Even though the crackers seemed to be the standard supermarket variety, the quality of the dips still made the experience a bit indulgent. The accompanying champagne they served wasn't bad either! Seeing as there were two of us, we each chose one of the two options from each course so we could taste every dish. 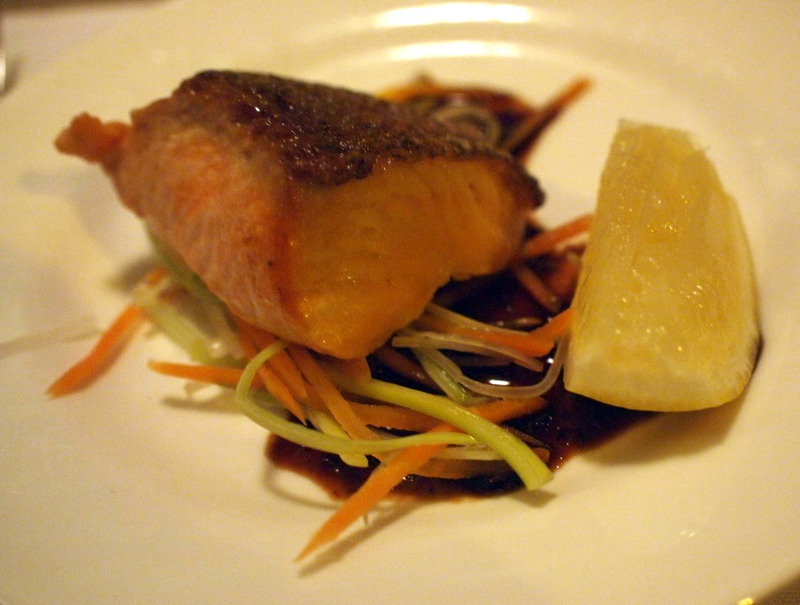 For the entrée, there was a choice between Tasmanian Ocean Trout, pan seared and served on julienne vegetables with a soy ginger reduction and Kangaroo Fillet marinated in lemon myrtle and honey, served on a vegetable frittata and topped with bush tomato chutney. The trout was cooked to perfection, with pieces falling softly off the fillet as the knife cut into it. The sauce wasn't overpowering either, emphasising the lightness and freshness of the seafood. 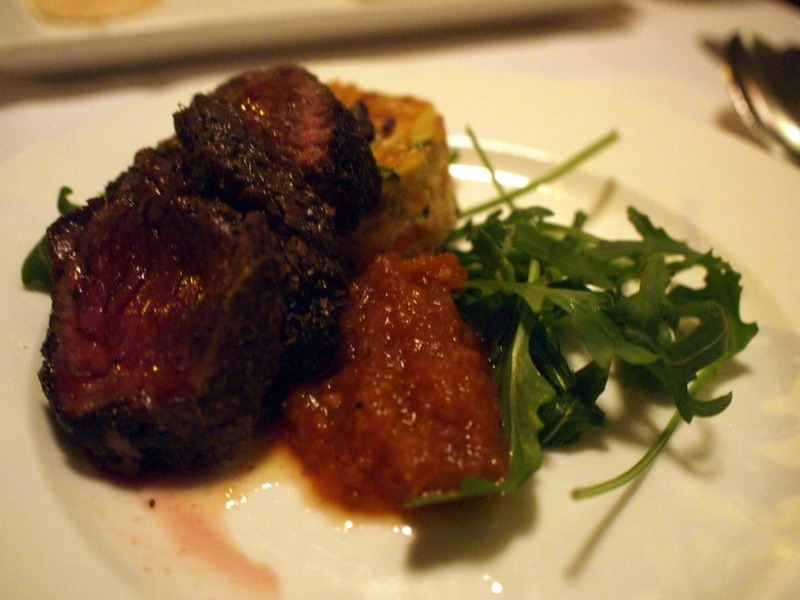 The kangaroo was cooked medium rare but I think the tomato chutney was the star of the dish. I love how full of flavour a good tomato accompaniment can be! For the main course, there was a choice between the Grilled Chicken Fillet served on a Mediterranean vegetable risotto with pesto, shaved parmesan and a roasted tomato sauce and Victorian Farmed Eye Fillet of Beef with potato and herb rosti, seasonal vegetables, onion marmalade and a rich beef jus. The chicken was tender, but I found it slightly bland. That could be my personal preference for chicken thighs as a result of my upbringing though. A didn't have any of the risotto but was told it was quite delicious. The beef was perhaps slightly overcooked in parts (it was supposed to be medium rare) but the quality of the meat more than made up for it. I get the feeling that cooking in a tiny kitchen on board a moving tram would be quite difficult so the chef is certainly still doing very well! He's probably relieved that there's a cheese platter with a selection of Australian cheese accompanied by fruit bread and crackers to serve before the desserts have to be ready. Nothing particular special about the cheese, but it's cheese so that's good enough for me, especially after three glasses of red wine. I was more looking forward to dessert though with Warm Sticky Date Pudding served with butterscotch sauce and cream and White Chocolate and Passionfruit Parfait with praline and a vanilla raspberry syrup on offer. The desserts were divine. 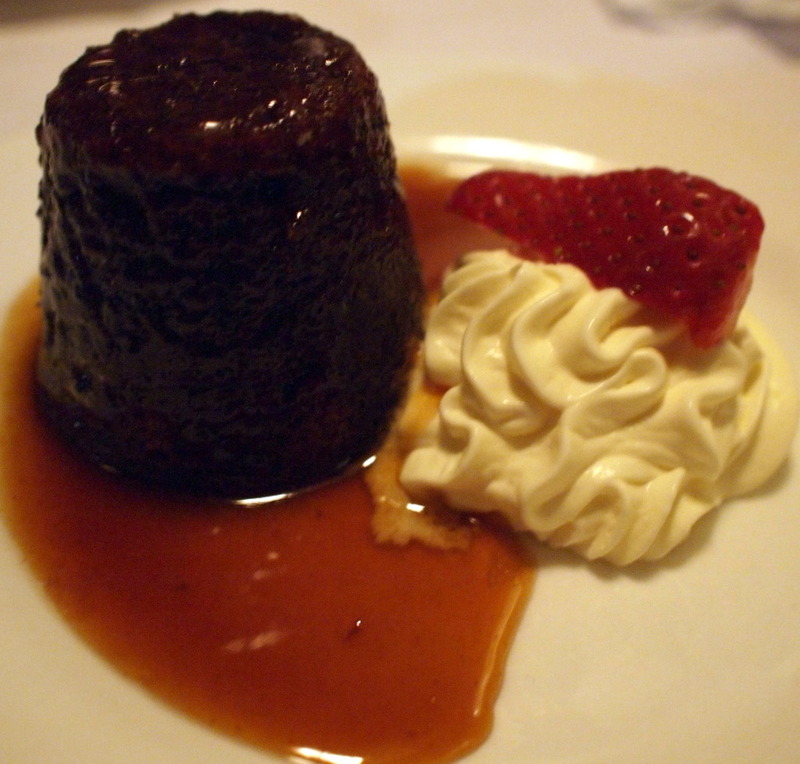 The sticky date pudding wasn't too heavy and was just perfect for a cold winter's night. 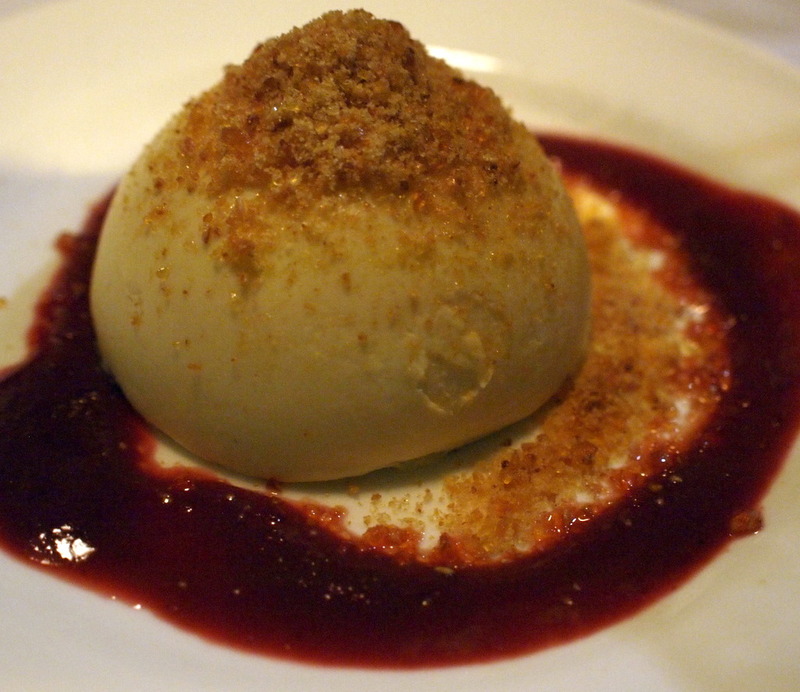 The light-as-air parfait was the perfect contrasting, yet complimentary dish, and in a way they were the Ying and Yang of desserts. I highly recommend the Colonial Tramcar Restaurant. 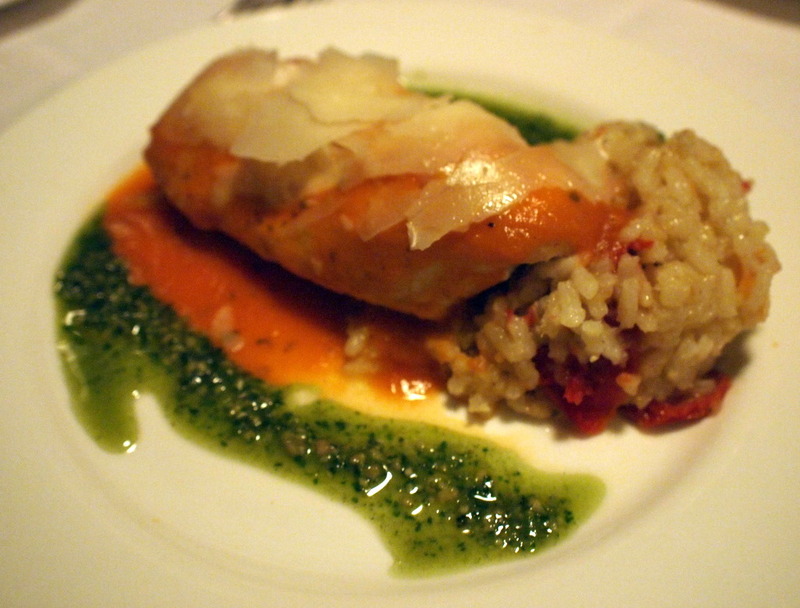 The food isn't mind-blowingly amazing, but it's good quality and served in a timely fashion. You'd definitely dine here for the experience - slowly travelling through the streets of Melbourne from the CBD to St Kilda and back, surrounded by soft music and dim light with a continuous supply of food and wine brought to you by a friendly waiter. A special event experience that makes you feel very special. I always thought the tramcar was a tourist trap, until I went with a work team for lunch. I was pleasantly surprised by the food and the wine they have on offer... I think by the time we finished at 3pm and were so drunk we had to stagger home instead of going back to work! Heehee!